A Worcestershire care home has appointed a new manager who wants to put the community and caring for those with dementia at the centre of her plans. 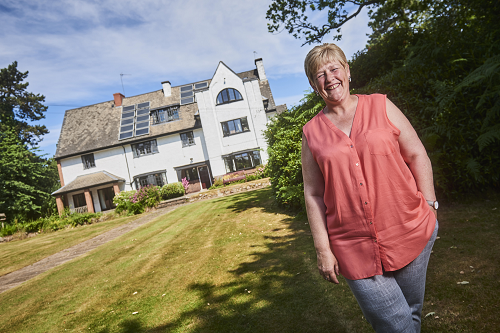 Caroline Youlden, an experienced care expert, has taken over as the general manager at Redwood House Residential Home in Barnt Green. With more than 15 years’ experience in caring for elderly people, she is set to overhaul the care home’s approach to dementia. Her plans include introducing a new dementia garden in its two-acre grounds, together with launching a programme of fundraising events. “I am bringing lots of new ideas to the home and working with my team, I cannot wait to implement them. “One big project is the introduction of a dementia garden which will take pride of place within our grounds. When we open it in the coming months our residents will be stimulated by spending time in the garden where plants and herbs such as lavender and rosemary can trigger memories and their senses. “It’s going to take our dementia care to a new level and will be a brilliant outside space for those who suffer from the disease. “Events are also going to be a big thing for me as we raise money to take residents on trips out to places in and around Worcestershire. Owned by the Clarendon Care Group, the home is registered with the Care Quality Commission for 27 residents. The home provides specialist care for the elderly and is a recognised specialist in dementia and Alzheimer’s care. For more information readers can visit www.redwoodhouse.co.uk or call 0121 447 7447.